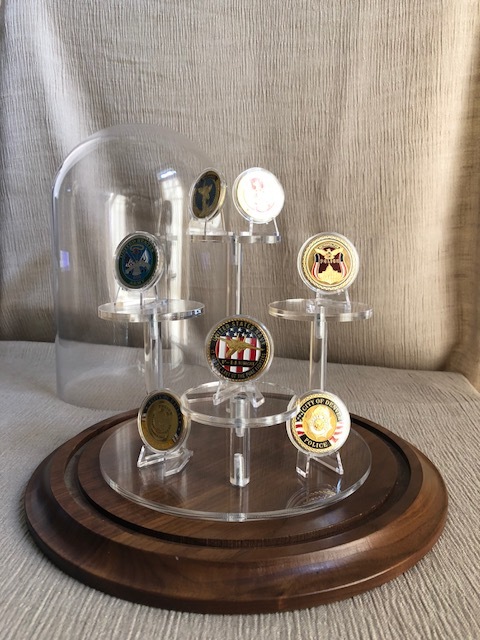 Our newest addition to our line of challenge coin displays, this Nimbus style coin display case is a wonderful way to enjoy those prized challenge coins on full display. 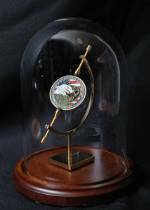 One or two capsuled coins are held in place by two flexible silicone membranes which make the challenge coin appear to be "levitating" in the frame. These membranes will conform to the shape of the coin when the coin is inside a clear capsule, and it will stay in place even when hung on a wall. This allows the coins to be viewed from the front or back. 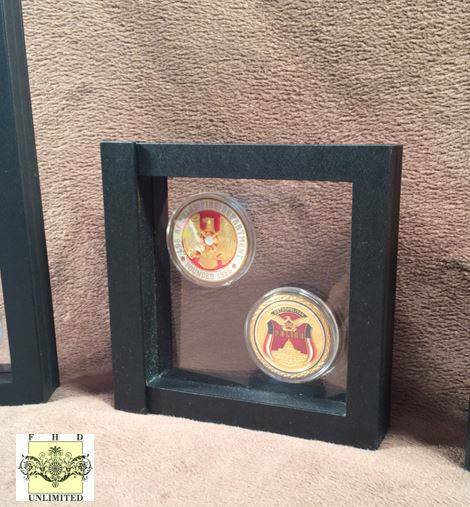 Challenge coins are typically ornately detailed on both sides of the coin....and here is the perfect solution for viewing both sides easily and without disturbing the coins! Plus, these frames are 100% acid and sulfur free, so they are perfect for preserving your treasures. Frame opens up by way of a magnetic flap. Once the flap is raised, the frame folds in half revealing the silicone membranes. 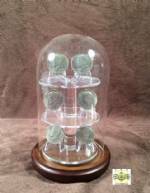 Simply lay the coins on one of the membranes, close the frame, and voila.....instant display! Frame interior measures 4" x 4" x 1¼", while exterior measures 5¼" x 5¼" x 1 3/16" and is available in a rich black finish. A perfect gift for a military service member or law enforcement officer who is retiring, being promoted, or receiving some type of honor. 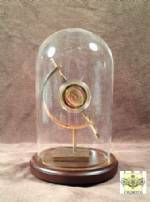 This coin display will be treasured for many years to come! Note: Coins pictured measure 1¾" in diameter. Coins not included. This is a really neat item. We bought it to store our son's Eagle Silver Dollar. We thought it would be nice to not only protect it so it didn't get lost, he could have it on a book shelf for display. 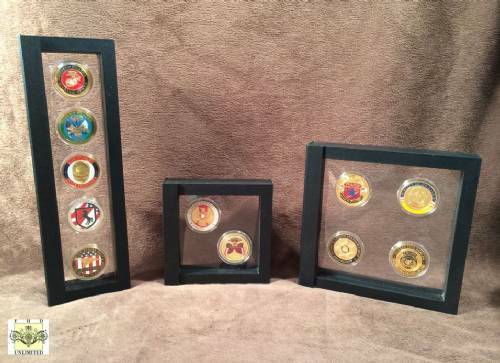 Challenge Coin Case - 4" x 4"
Challenge Coin Display Dome - 10" x 10"